Brisbane Girls Grammar School is an academically non-selective, independent, secular secondary school that is recognised as an international leader in the education of adolescent girls. Girls Grammar provides a broad, liberal education to girls in Years 7 to 12. Traditionally, girls enter the School in Year 7, which is the first year of secondary school in Queensland. However, with globalisation and increased mobility, places may become available in Years 8 to 11. The School encourages interested families to enquire about entry into these later years. These places are offered at the discretion of the Principal. To enrol your daughter at Brisbane Girls Grammar School, please follow the steps outlined below. Additional enrolment information can be found in the Enrolment Information booklet, and you may wish to view the Entry Year Guide. For further information about the School’s enrolment process, please contact the Enrolments Office on enrolments@bggs.qld.edu.au or +61 7 3332 1436. Brisbane Girls Grammar School accepts applications for enrolment any time after birth. Please complete the online Enrolment Application Form. A non-refundable application fee of $470 (GST inclusive) is payable for each application. A copy of your daughter’s birth certificate and proof of citizenship (or residency if born overseas, or if both parents were born overseas) is required when submitting an application. The online application will guide you through a five-step process and can be saved to complete at a later date, using a unique code which will be emailed to the applicant. Upon successful completion of an online application, a receipt will be emailed to you and your daughter’s name will be added to an Enrolment Application List appropriate to her year of entry. 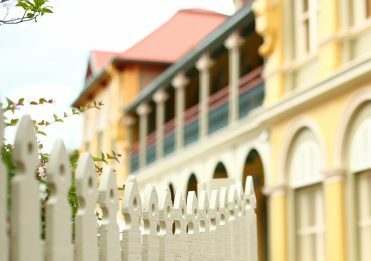 Please understand the successful lodgement of an enrolment application, with accompanying enrolment application fee, does not guarantee enrolment at Brisbane Girls Grammar School. Enrolment is subject to the offer process and Enrolment Application Terms and Conditions. For Year 7, the School begins the offer process three years prior to the year of entry. Places are offered to applicants on the School’s Enrolment Application List in strict date order of receipt of the completed enrolment application. Further offer rounds are made until the cohort is full. Other relevant documentation regarding the education or welfare of the applicant including medical reports, educational testing, learning plans or court orders. In the year prior to entry, parents are required to pay an Advance Fee. The Advance Fee is non-refundable and is credited to the first term’s Tuition Fee. 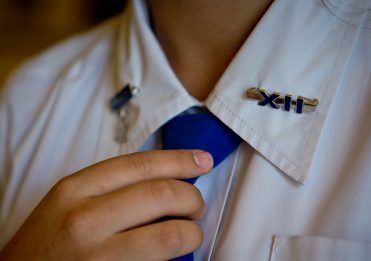 Future students are allocated to one of the School’s nine House Groups. Students are not able to choose their House, however the School will endeavour to maintain close family connections. Students and their parents are then invited to attend an interview in Term 2, the year prior to entry, with their relevant Head of House and a member of the School’s Senior Leadership Team. In the year prior to Year 7, parents and their daughters will be provided with several opportunities to become familiar with the School, participate in parent and community events, and meet teachers and other girls commencing in the same year. Your family will be officially welcomed to Girls Grammar the year she commences at the School. 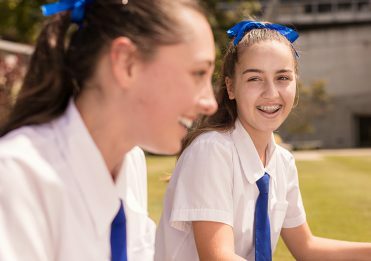 Places in Years 8 to 11 are offered at the discretion of the Principal, and the School encourages families interested in enrolling their daughter in these year levels to contact the Enrolments Office via enrolments@bggs.qld.edu.au or +61 7 3332 1436. The School must be notified of any change to the parent’s contact details provided on the enrolment application. Parents should also advise the School of any change sought to the proposed entry year as soon as possible. If the offer process for the entry year sought has commenced, the School cannot guarantee a place. For further information, please read the Enrolment Application Terms and Conditions. Please note, Brisbane Girls Grammar School does not offer courses to girls wishing to study in Australia as an international student on a student visa.